The home of Soccer's Philadelphia Union Pro Team also hosts the most attended college soccer game this side of the Mississippi. This year's rivalry kicks off Friday, October 12th at 7pm. The Army-Navy Cup has seen significant growth over its six years at Talen Energy Stadium with attendance surpassing 10,000 fans. Following the founding of an Army-Navy Cup host committee, the game has expanded to attract nearly 40,000 fans over the past four editions combined. 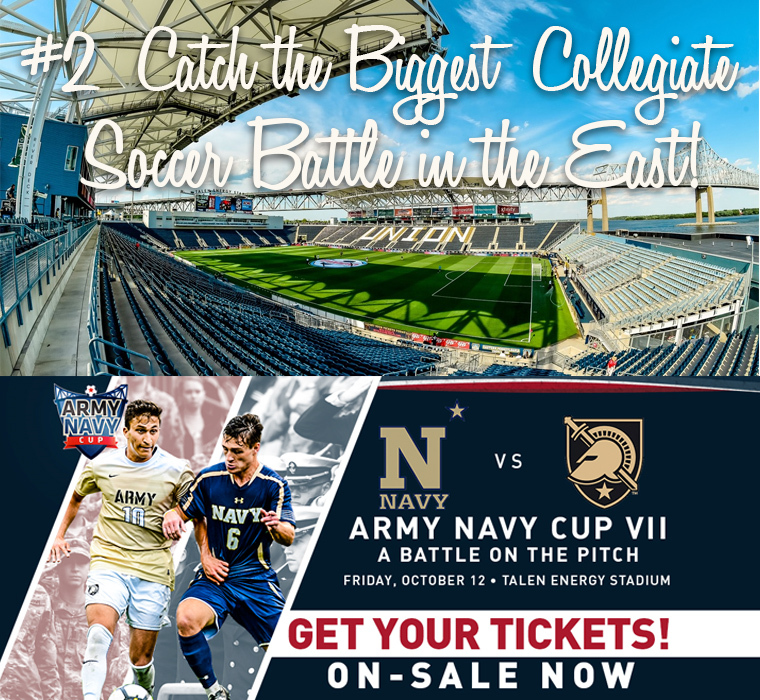 Last year's Army-Navy Cup was the third-highest attended college soccer match in the United States. "We are excited that we have been able to continue this wonderful relationship with Philadelphia and the Union," said Naval Academy Director of Athletics Chet Gladchuk. "Our coaches and players really enjoy the stadium, and to play our greatest rival in a spectacular and electric setting is fantastic. There have been great crowds, energy, atmosphere, and super soccer!"